The recent Australian Energy Market Commission’s (AEMC) 2018 National Retail Energy Report highlights an all-time low in consumer confidence in the Australian energy retail market. 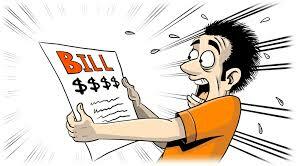 Only one in four consumers believe energy retailers are working in their long-term interests, falling from 50 to 39 per cent on the previous year. Here in South Australia, consumer confidence is even lower, with only 24% of us believing that retailers have our interests at heart – and who would blame us when you look at how much we are being charged compared to the rest of the nation (let alone globally). Our market is dominated by the big three energy retailers, with Origin, AGL and EnergyAustralia supplying around 80% of our energy. There are however 15 energy retailers in total operating in our state, which would come as a surprise to many. Consumers do have a choice but, unfortunately, many of us choose not to look at our options and make the switch. The graph¹ below highlights the variation in energy offers in our market (these are retail charges only; network and environmental charges are not included). 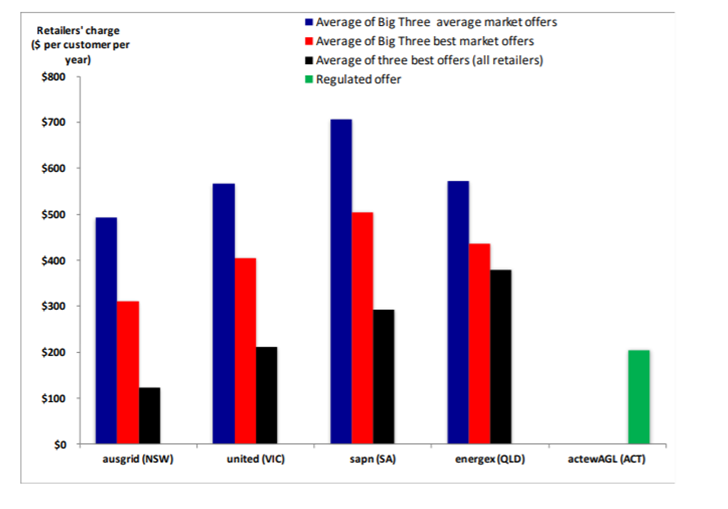 As you can see, the difference between the average market offer from the big three and the average of the best three offers on the market is huge. So why aren’t we looking for a better deal? Only 20% of consumers indicated an intention to switch energy plan or provider in the next 12 months², which was slightly down on 2017. Is it that we believe that all of the providers are offering pretty much the same deal? Is it a bit of the ‘devil you know’ playing into the decision to stay put? Obtaining independent advice is a critical part of making the right decision. Tandem Energy can provide you with sound, industry-savvy advice and have just launched a new program to help SME’s – Together we are more powerful. Contact us to find out more. ¹Australia’s retail electricity markets: who is serving whom?